Twinning in Bognor Regis would survive Brexit, a meeting was told. 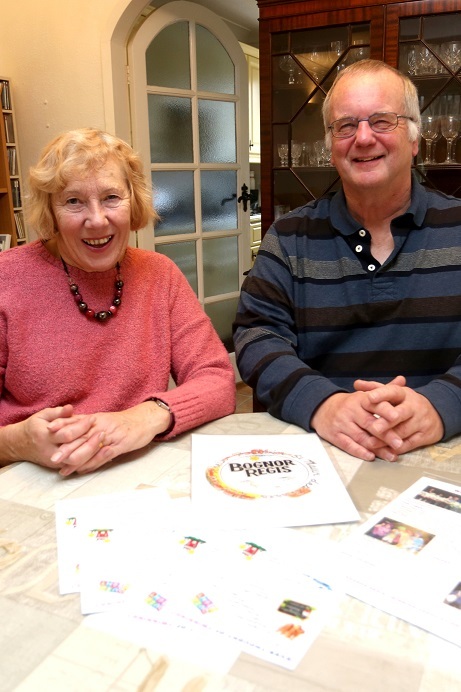 Heather Perrott was re-elected as chairman of Bognor Regis Twinning Association and said its work with the three towns with which it was linked was more essential than ever. The country is on the verge of Brexit when it leaves the European Union on March 29 after years of fraught debates and negotiations between politicians of different parties and countries. But Mrs Perrott said: “The events of recent history tend to show the benefits and importance of international friendship. With the political situation at the moment, it seems to be more important than ever to be talking to people at grass-roots level in Germany and France. Twinning enables us to do that. “When we speak to people, what they tell us are not necessarily the views expressed in the news when politicians talk to each other. “Some people in France want Frexit. Most of them think we are mad for wanting to leave, but some of them understand why. “They do have worries about immigration and the government from Brussels as we do. “But most of them would really, really like us to stay. The first moves to twin Bognor Regis with Europe began 40 years ago. It was the following year, 1980, when the association was formed and the link with St Maur des Fosses in France was finalised. Connections with Weil and Rhein, in the former West Germany, and Trebbin, which was then behind the Iron Curtain in East Germany, followed. Regular exchanges are held between the three towns. This July will see a group of members of the twinning associations of Weil am Rhein and Trebbin visit Bognor Regis. Up to 10 ramblers from St Maur will also be visiting in September to enjoy walks around the area with the Bognor Regis members. The activities with the French town have lessened in recent years after a shake-up in its town hall. But Mrs Perrott is optimistic they will be resumed fully once the changes have settled down. She was unanimously re-elected at the meeting – held last Wednesday at the Regis School of Music – for the third and final year of her third three-period as chairman. This is the first time in the association’s history that a person has been chosen as chairman for so many years. But she will have to stand down again in 2020 under the association’s rules. The group has some 50 memberships – households and individuals – and treasurer Phil Butler said 2018 had been a successful year. A £750 grant from Bognor Regis Town Council and a series of popular social events had enabled funds to be built up ahead to be spent on hosting the German visitors. He was also re-elected without opposition at the meeting, along with vice-chairman David Roche. The association stages foreign film nights at the town’s Picturedrome cinema each month.